Homes and apartments around the world have a lot of cabinetry installed in them and rightly so because without cabinets it would have gotten near to impossible for dwellers to store their accessories and daily life accoutrements. Every cabinet door needs a handle that could not only make it possible to open it, but also add to its design. For many homeowners out there, picking the right cabinet handle could be the easiest and simplest of the tasks, however, this tiny little product plays an important role enhancing the room’s interior. If a door handle is not well complemented with the room’s theme, it would make the cabinetries look odd. This is the reason why the best interior designers in Pakistan always pay special attention to picking cabinet handles. Here we have described common types of handles, their materials and finishes you would come across in the market. As you’ll reach a local sanitary store, you will come across a number of cabinet handle shapes, but all of them could be divided into three shapes: (i) cabinet knobs, (ii) cabinet handles and (iii) extra-long cabinet handles. The cabinet knobs are smaller handles installed on the cabinet doors and they require only a single hole for installation. If you are considering replacing your current longer handles into knobs, one of the previous holes wouldn’t probably be covered. In contrast, the cabinet handles are slightly longer. They are usually installed by drilling two holes in the cabinet door. The third one, extra-long cabinet handles are extra stylish handles elongated for adding to their designs. Although if we look back in the past, only metal or wood cabinet handles could be found, but today even the plastic handles appear as luxurious as them. The cabinet handles you’ll come across at the stores these days are made out of different materials. The most popular, however, are the wood door knobs, some of which are even carved to give a classic touch. The wooden handles are available in different styles and shapes to match your woodwork. Then, there are bronze handles that are a mix of tin and copper. These handles look best in homes with a very traditional interior. The porcelain door handles are often cut into facets. They have smooth white surface that is easy to clean and care for. The best thing about the Porcelain door handle is that it resists stains. Glass or crystal door handles are translucent or opaque. 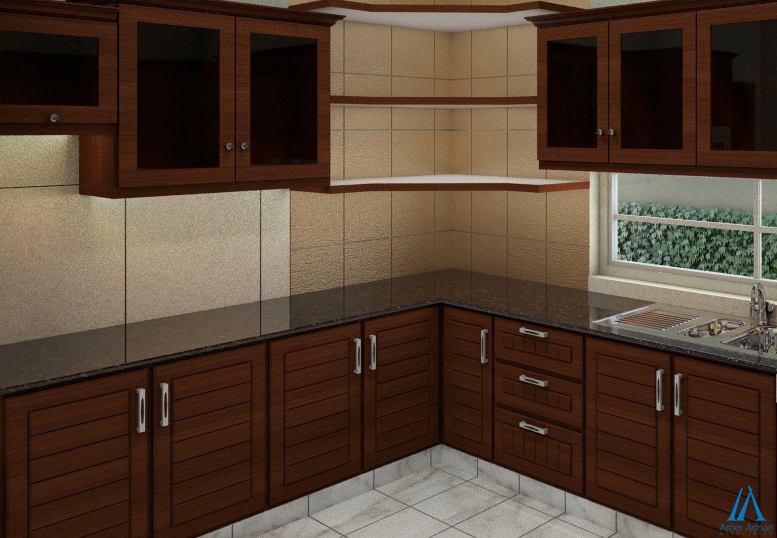 They are formal type so work best for dressing up drab cabinets and make a room feel amazing in luxury homes in Pakistan these days. If you are fond of metal handles for your home cabinets, there are many finishes from which you can pick one for your cabinets. There are hammered metal handles that have an allover dented and dimpled look. They are often brushed or polished to give an elegant appearance. The hammered metal door handles are considered the most traditional kind of finish. The polished metals are shiny, smooth and reflective. They, however, show dirt and fingerprints quite easily, which is why people use them on cabinets that are easily cleanable. The satin or brushed metal finishes are gently sanded so that they do not shine. Their matte finish makes them look classic and complement all kinds of woodwork. They are easy to clean and care, which makes them the most popular metal finish.